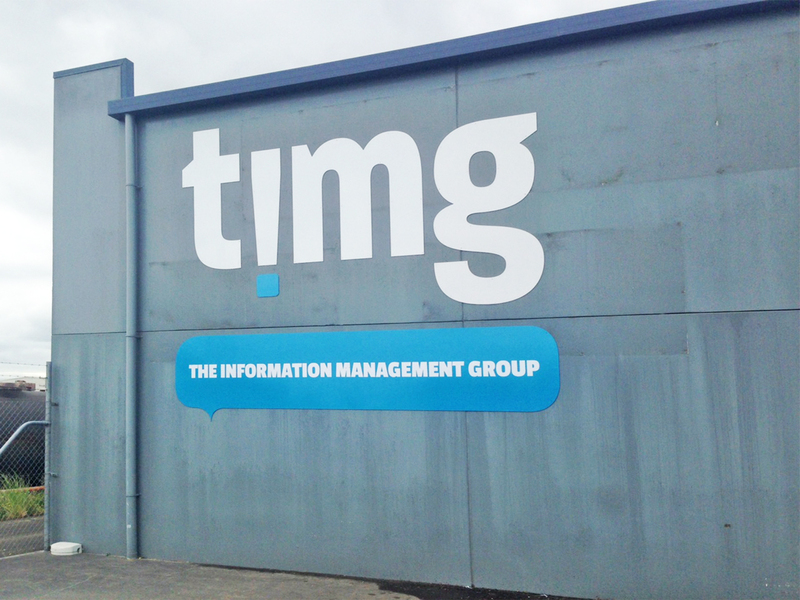 ‘Online Security Services’ rebranded and became ‘The Information Management Group’ or ‘timg’. Various combinations of signage methods were utilised. Direct signwriting, flood coated digital colour matches, computer cut, combined with enamel painted CNC router cut logos/text from 4mm thick ACM sign substrate panels with computer cut vinyl graphics. 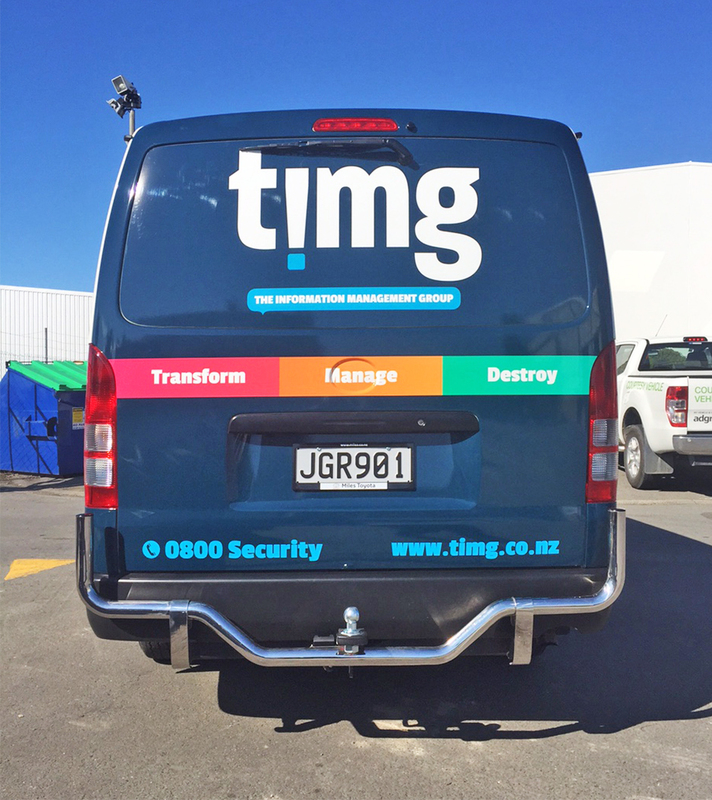 Building & Vehicle Fleet branding. x10 Nationwide branches. x50 various Isuzu F and N series trucks. x5 various hatch back vehicles. 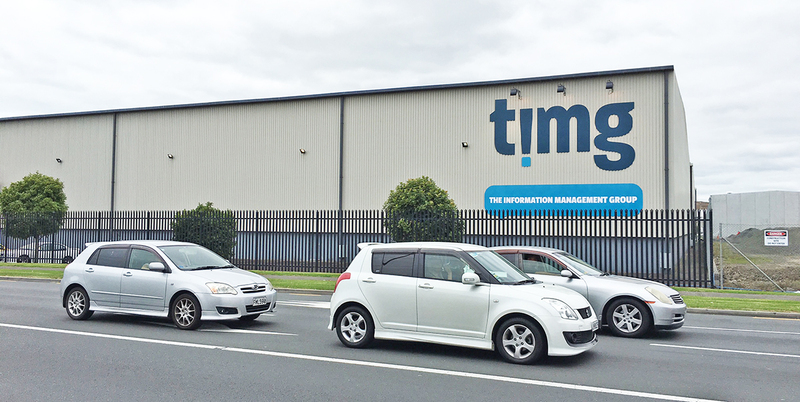 Full project management, coordination, removal, manufacture of new, application and installation completed by Signwise Wellington, to illustrate ‘timgs’ new, contemporary identity, consistently, meeting their required brief and budget. Client very happy with the end results.